It’s January 2019. For many, myself included, the new year marks time for change and adjustment. It is a time for setting intentions about what the coming year will hold or look like for you and your family. One aspect of life that I encourage the families I work with to take stock of in the new year is about how they spend time together. We discuss the toys their child may have received at the holidays, the activities they enjoy engaging in together, and how they can make small tweaks to this time spent in play for the benefits of speech and language development. 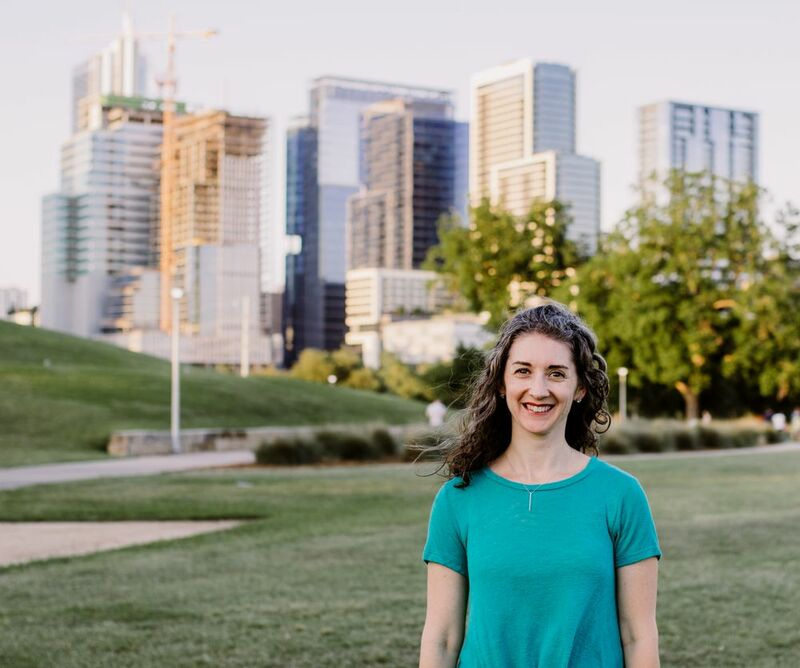 I have been a speech-language pathologist for almost ten years, and before that, I was a special education teacher. So much of this intentionality during play and familiar routines comes as second nature, but I know that is not the case for many parents and caregivers. This is normal; there is a lot on your plate. 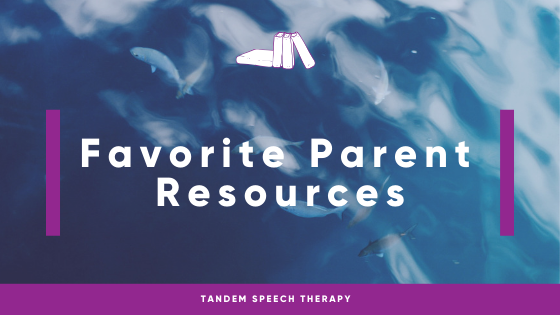 Let me ease the challenge by offering my list of favorite parent resources for building speech and language skills in your child. BabySparks is an “innovative development program” to support development in children 0-2 years through meaningful play. The program includes more than 1300 video-based activities and development milestones and is an app available for both Apple and Android phones. 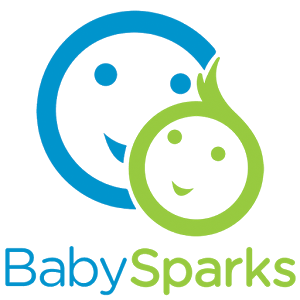 BabySparks is an all-encompassing app. You get all the tools you need to help your baby develop across multiple domains but in one place — a significant plus for busy parents and caregivers. The bonus is that a program is provided, based on your child’s age or skill level, and that it adjusts and customizes as your baby grows. The progress section is easy to read and interpret to make tracking development easy and stress-free. 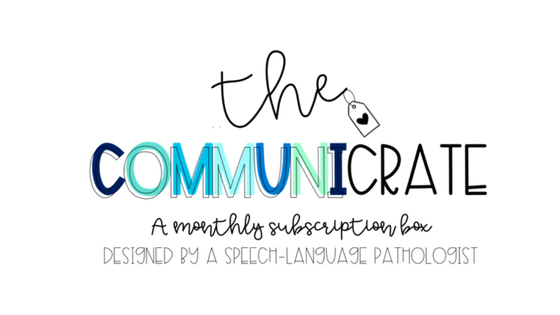 The CommuniCrate was designed by talented SLP, Kristin Weingart, with speech-language pathologists, educators, and parents in mind. It’s a resource to save you time and decrease mundane learning or complacency. Each month you will receive themed, hand-designed, high-quality resources developed to promote speech, language, and literacy development. 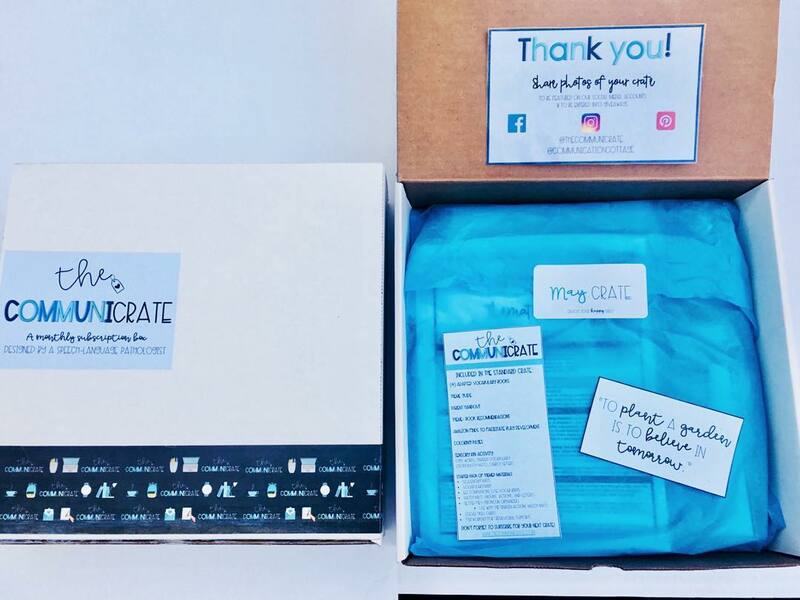 Kristin created The CommuniCrate to help, “free up your planning and give you that extra time at home with your loved ones.” Your crate will come with a theme guide which is a helpful tool for caregivers and was also great for me as an SLP. It gave me ideas for the use of the resources I may not have thought of on my own. The resource guide breaks down development into six major categories: sensory, play, fine motor, cognition, gross motor, and socio/emotional. Within each category are 2-3 suggestions of how the items in your crate can facilitate development with instructions that are clear and easy to follow. If you’ve been reading my blog or following me on social media, it will come as no surprise that the Hanen Centre’s “It Takes Two to Talk” book is on this list. 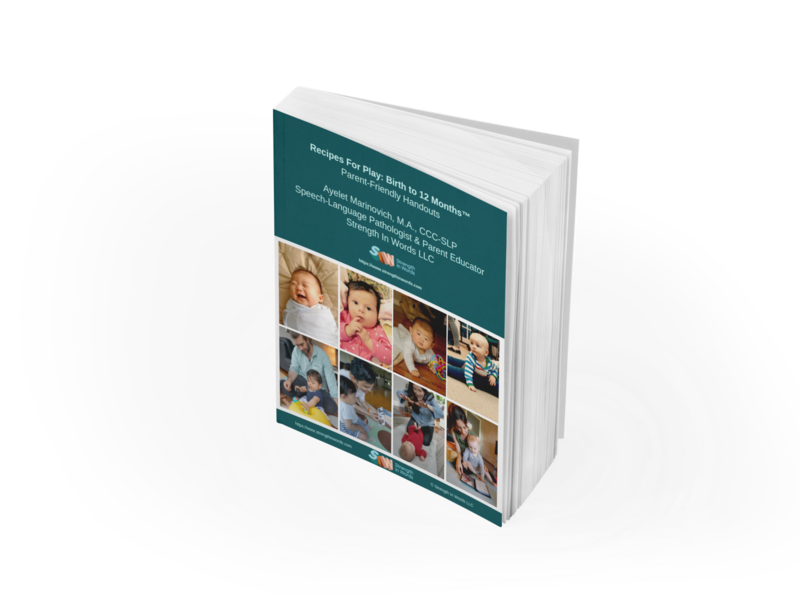 This is the number one resource I recommend to my clients when they have a young child with a language delay or disorder. The ITTTT book completely transformed how I interact with children in general, so it’s a great resource even if your child does not have a language delay. The Hanen Centre breaks down how children learn language through play and provides a framework for building meaningful interactions with their strategies. The book is written with caregivers in mind. It is not overly technical or bogged down with difficult to implement ideas. 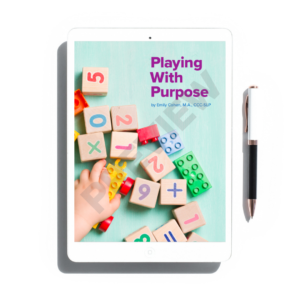 I would be remiss if I did not include my parent resource book, Playing With Purpose, on the list. 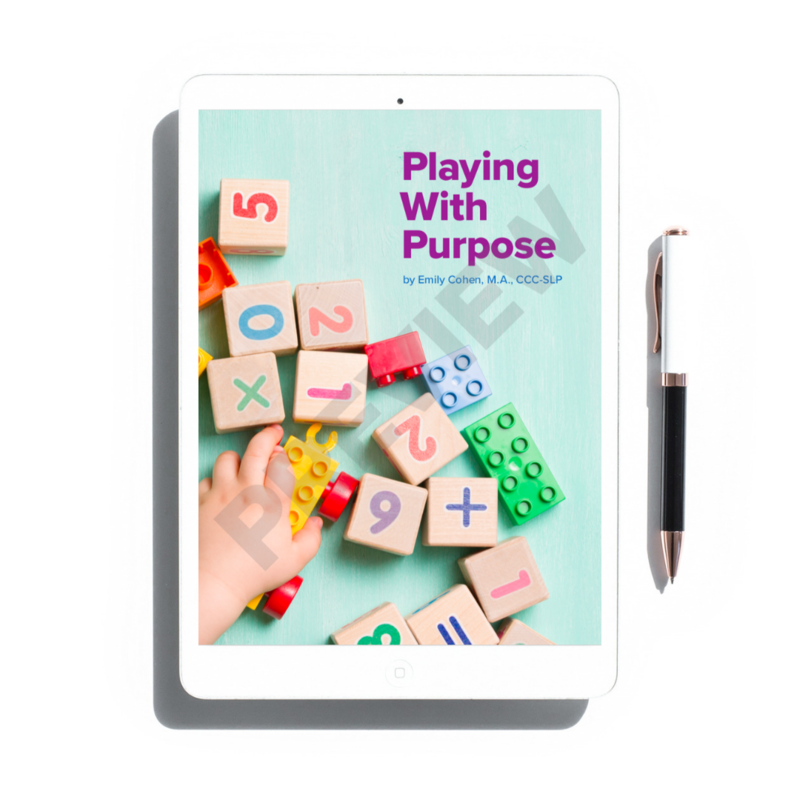 The PWP book will teach you how to convert play and everyday routines into activities that are both fun AND beneficial for a child’s speech and language development. With little tweaks to your interactions and the day-to-day routines you are already engaging in, you can increase opportunities for learning and growth for your child. This best part is it’s not a lot of extra work. In the book, you will find everything from one of my favorite toys, Mr. Potato Head, to activities such as bath time and playing outdoors. Almost every interaction with your child can be an opportunity for Playing With Purpose. We know that early intervention and identification of children with communication deficits is incredibly essential. The American Speech-Language-Hearing Association’s Identify the Signs campaign is a terrific resource for understanding your child’s development. Their website provides information to recognize the signs of speech-language disorders and hearing loss in young kids as well as support to get help. My list is just the beginning. There are a wealth of resources, blogs, and books for you to learn about your child’s development and how to support them. Remember, it’s ok to ask for help. One of the best parts of my job is helping caregivers build a toolbelt of strategies to help the children in their lives. Set your intentions, start small, and before long all of this will become second nature to you too. Need more support and resources?